A variety of our publishing partners produce fascinating market studies to answer how their engineering readers make these types of buying decisions, and we gobble them up. One of the newest just came out from IEEE GlobalSpec, with its Annual Pulse of Engineering Survey. I thought we’d share the results of the most interesting stats. You can download the complete 2018 report at https://www2.ieeeglobalspec.com/2018pulse. IEEE GlobalSpec surveyed more than 2,000 engineers and technical professionals, asking key questions on work environment, professional challenges, and the competition. Focusing on the needs of today’s engineers, this year’s report contains some striking contrasts from previous years. What exactly are those changes? Marketing best practices require that you learn as much as you can about your customers--but how can you use these findings to craft a better message and reach them? Now let’s take a journey into how engineers think. Is Your Database Too Old? The survey is documenting what we’ve seen in a variety of studies – that millennials are increasingly moving into decision-making roles in their jobs. And that will have a lot of changes to the type of content they want, and how marketers need to deliver it. Millennials, cited by Pew Research Centre as being the generation born from 1981-1996, now comprise as much as 17% of the engineering market. That’s too large a portion of the industrial engineering demographic to overlook. Even more importantly, millennials are now in decision-making positions across many industries. If that stat surprised you, you might be in danger of letting your database “age out.” You need to make sure you’re speaking to younger readers and viewers, and that your database isn’t overly skewed to baby boomers who are getting ready to retire. The average age of your customer database needs to be no higher than in the 40s. If it’s in the 50s, then your database is too old, and the brand recognition you have with a group ready to retire may not be ready to transfer to newer engineering decision-makers. You need to learn to really communicate with all your customers to address that. It’s easy to say that content is important, but that’s a bit superficial. WHAT type of content, and when do you deploy it for the busy engineer? The study gives us a few indications on what works best not just for getting their attention, buy staying connected. The research shows that engineers maintain and advance their professional skills using content such as books, online training courses, webinars and white papers. Tutorials, webinars, case studies and white papers are all popular among engineers. However, millennials are unwilling to pursue your content if it’s gated, i.e. kept behind forms or or paywalls. That supports something I read from a recent Forbes article, which stated that 80% of millennials leave a site when asked to complete a form, rather than get the information they were interested in reading. Eighty percent! Knowing how few millennials are willing to fill out forms and register to access the content they expect, why would you want to hide your message behind a gate? It’s simple—offer engineers free content in the form of informative videos and articles, and they’ll be back for more. Engineers Are on the Move—to Another Job! Asking the tough questions about employee loyalty, the report goes on to reveal that engineers are more loyal to their chosen profession than to their particular company. Fewer of today’s engineers expect to still be at their current position in the next five years. This has big implications for your marketing strategy—or it should. 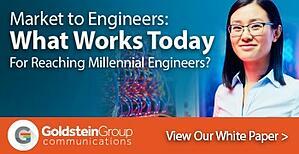 Today’s engineers face a changing work environment. Older baby-boomer engineers are rapidly retiring from the workforce, and their experience is going with them. With such high turnover, it’s difficult for businesses to protect and grow industrial knowledge. That’s one of the reasons media editors report that the “basics” articles, and “Topic X 101” tutorials, are so popular. As marketers, this means that a rapidly-changing workforce needs a lot of education in order to do their new jobs effectively. That’s why we focus on creating quality tutorials and foundational technical content for our customers. When you’re trying to connect with your industrial engineering audience, make sure you first take the time to understand what the engineer needs, and how that’s different from other B2B audiences. It’s the only way to get return visits, leads, and marketing ROI. For more marketing insights, check out our eBook, Marketing to Millennials. 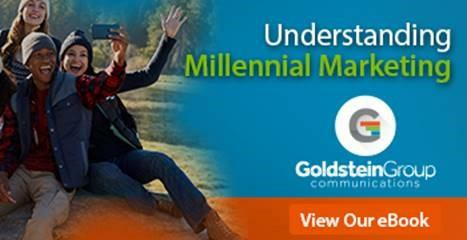 We walk you through the most important decision-making factors when marketing to millennials. You’ll also learn how to modernize your approach to messaging and stay relevant. How are Millennials different from Baby Boomers? What information do they expect from companies? What’s the buying experience they’re seeking? How do they search for new products? What are their turn-offs for products and companies? What are the resultant changes you need to make in your b-to-b marketing programs?